Spent a fascinating evening in Frome on Friday, at an EV ‘Show & Tell’ event. Considering the near-constant rain the turnout was excellent – drawn no doubt by the prospect of seeing a Tesla Model S in the metal. 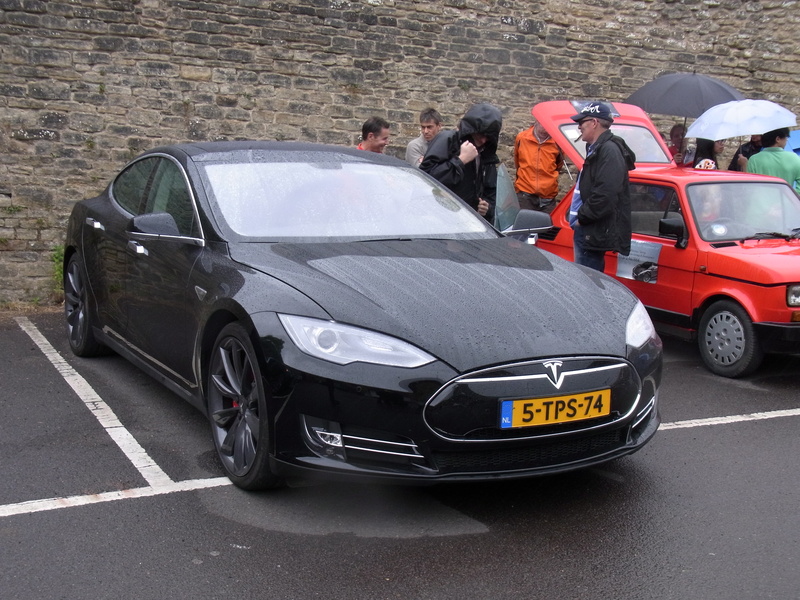 A gorgeous black P85+ was brought along by Malcolm Burgess, a British engineer who works for Tesla in California. 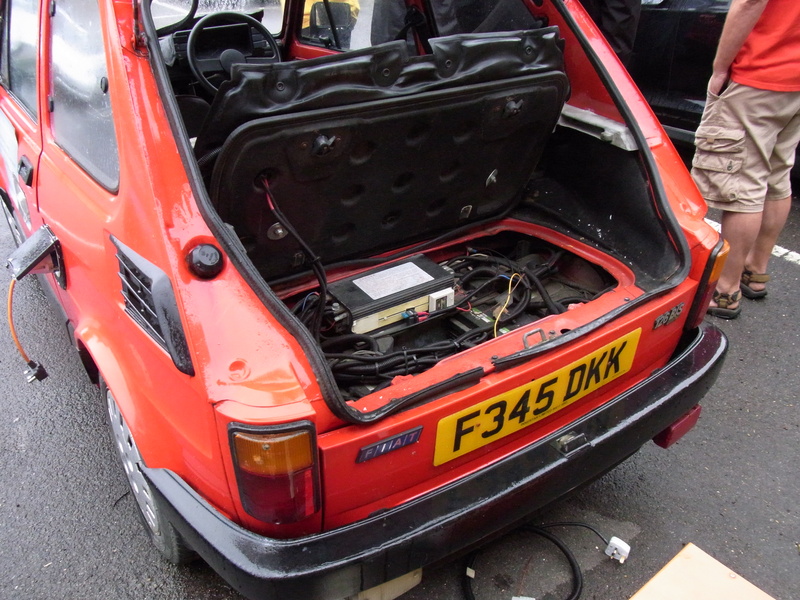 Virtually all the current crop of EVs were represented, but to show just how far EVs have come in the past 20 years it was great to see an elderly Fiat 126 loaded up with lead-acid batteries and a 13-amp plug! Apart from EV geeks there were quite a few ‘normal’ people interested to learn more about what it’s like to live with an electric car. 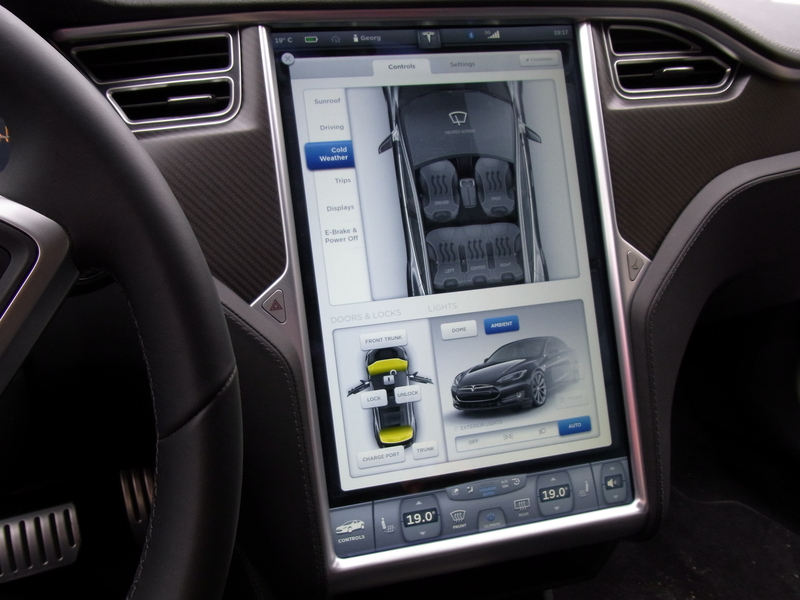 Thanks to the presence of seriously experienced EV users like Kevin Sharpe and Paul Churchley I learned a few new tricks myself – like how to use the Android app Leaf Spy to get detailed information about range and battery condition. Best of all was that our Leaf made the 80-mile round trip without causing a moment’s range anxiety! ← Electric racing – gimmick or game changer? Fantastic but didnt think I could make it from Halifax in my Leaf !